Associated Press photos Houseplants of a different kind are finding their way into space-starved dwellings. 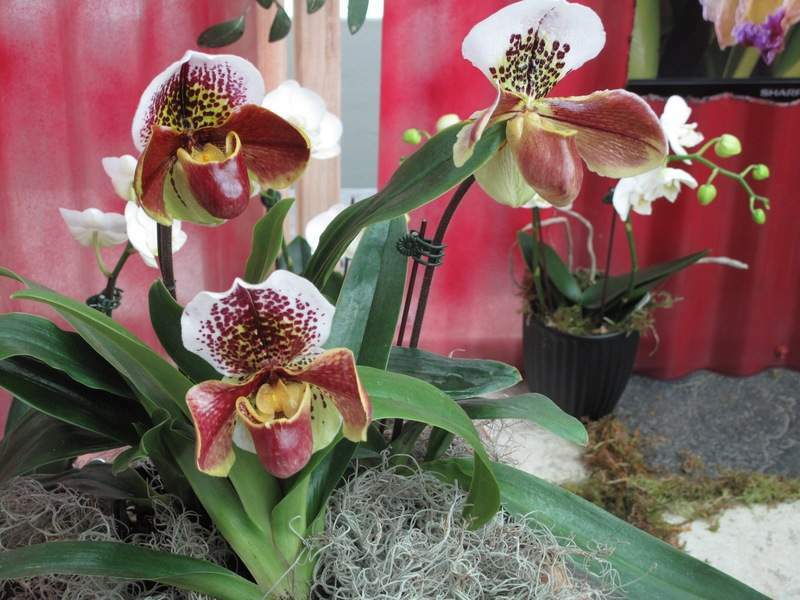 People are choosing less demanding houseplants, like succulents, multi-purpose plants like herbs or long-living plants like these orchids. 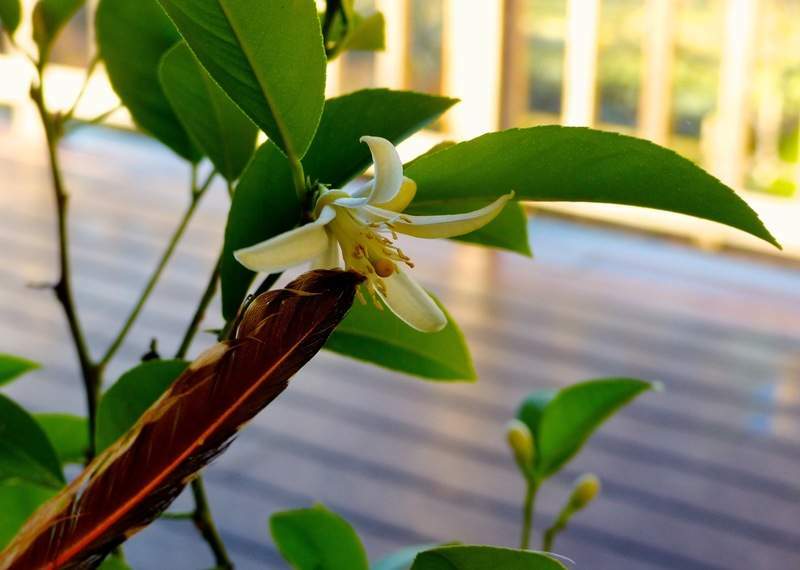 Associated Press A gardener uses a feather to help pollinate a lemon tree being grown indoors as a different kind of potted houseplant in Langley, Washington. Houseplants have special needs inside your home and you have to find them. Houseplants have been a mainstay of indoor decor item for generations, but their selection and use has changed over time, particularly with urbanization. People no longer are wedded to placing a few potted African violets on sunny window sills to add color and texture to small spaces. Instead, they're choosing less demanding houseplants, like succulents and cacti, or those offering utility, like herbs and strawberries. Young folks new to independent living often lack the means or time to raise pets or children, so they find living substitutes like houseplants. The plants become part of the household. Houseplants do require care, but they don't need early morning walks or shuttling to and from soccer games. They aren't banned by condo boards, as pets might be. They are inexpensive and calming. And they've been enjoying a revival, Pennisi said. “Back in the '70s, the Green Revolution was a time when a huge push was made to grow things indoors,” Pennisi said. “The more plants in planters the better. Some houseplants can clear the air in enclosed surroundings. They absorb pollen, bacteria and molds while taking in carbon dioxide to process into oxygen. These air-cleaning houseplants include spider plants, ficus, Boston fern, snake plants, aloe, English ivy and philodendron.